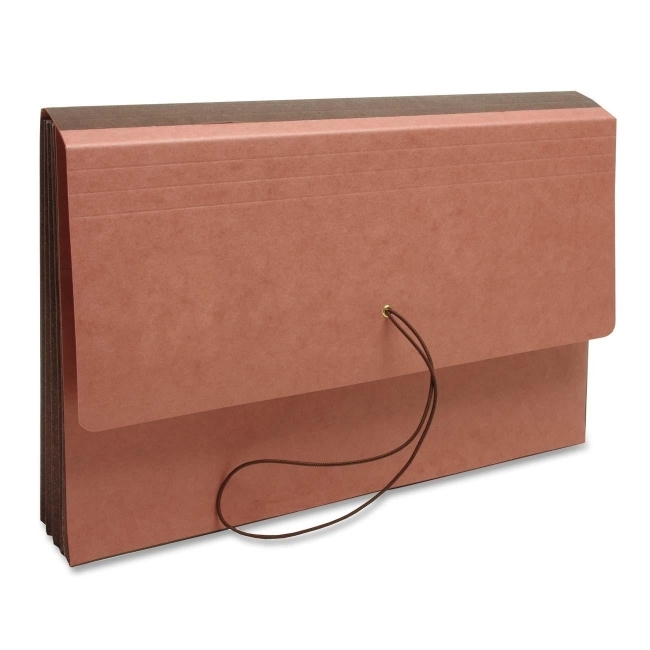 Expanding wallet offers a double strong redrope material on the front, back and flap to store and protect legal size documents. Design includes a full height tyvek gusset for extra long life, a gusset reinforced with mylar and grommets in back for durability. Extra long flap has multi scores for easy expansion to 3.5". Flap is reinforced with 3" brown Tyvek for additional strength. Secure with attached elastic cord.